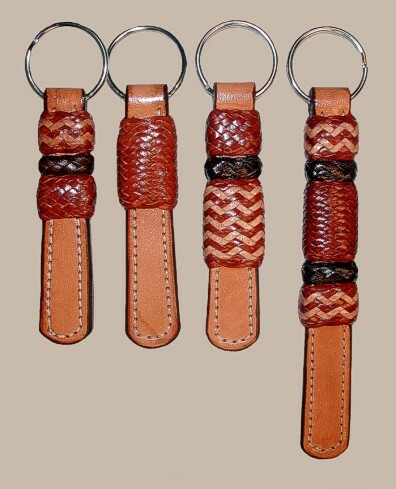 Group E key fob kits gives you a variety of sizes and button combinations. 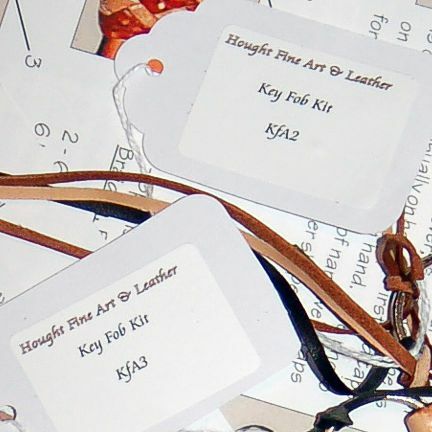 Braided Key Fob kits: Group E - The kits are tagged with the code name and pre-cut strings attached. See photos below. 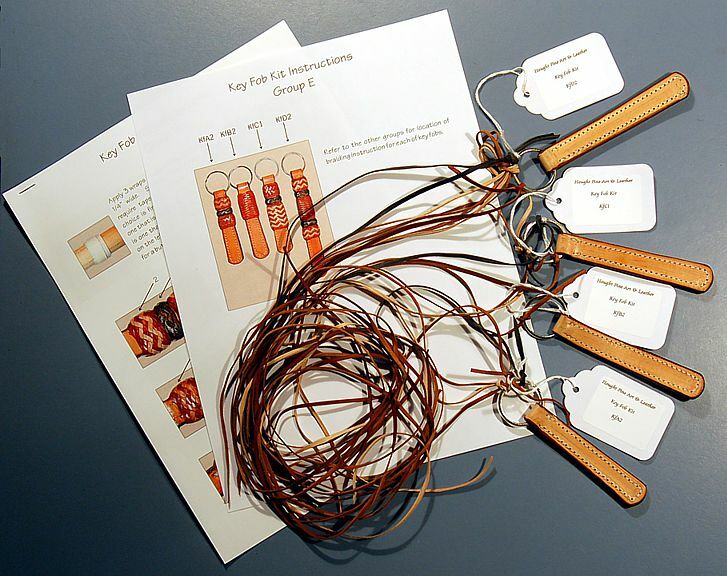 Group E-4 above offers one key fob from each group. 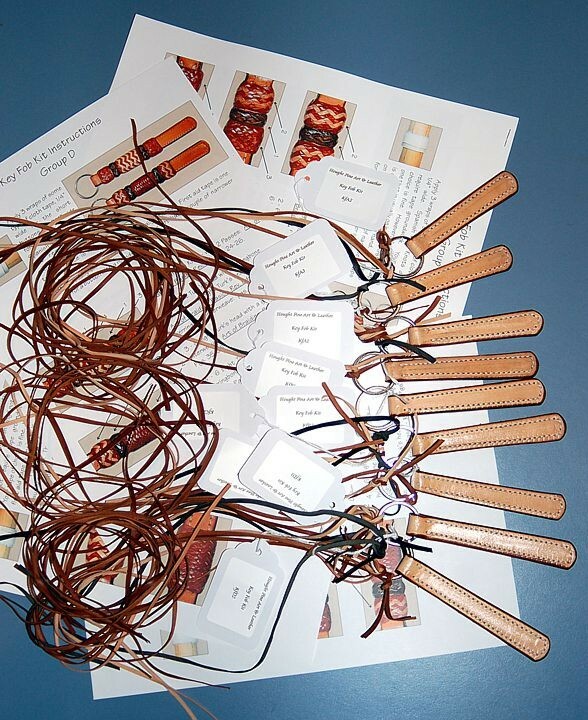 Group E-9 offers one of each key fob kit from each group. See below.